There are 4 Memory Care Facilities in the Franklin area, with 1 in Franklin and 3 nearby. Caring.com has helped thousands of families find high-quality senior care. To speak with one of our Family Advisors about memory care options and costs in Franklin, call (855) 863-8283. Franklin is located in central Indiana, a state where the Alzheimer's Association reports that 110,000 residents have Alzheimer's disease. This disease, which is generally diagnosed in seniors, is the leading cause of dementia. In Franklin, the senior population makes up more than 16 percent of the 25,000-person population. Franklin is home to one memory care community, and families looking for more options will find nearly five dozen more in the surrounding area. The facilities, which are officially called dementia special care units, may either be located within assisted living facilities or in their own dedicated building. Franklin's living costs, including healthcare expenses, are about 10 percent lower than the nationwide average. This may make the city a good option for seniors and families with a restrictive memory care budget. Franklin's property crime rate is significantly higher than the national average, but its rate of violent crime is considerably lower. On a scale of one to 100, with a low score representing less crime, Franklin's violent crime rate is 23.0, compared to the national average of 31.1, and the property crime rate is 51.1, compared to the national average of 38.1. This may appeal to families who are moving their loved one to memory care in central Indiana. Franklin's climate is typical of central Indiana, with hot, humid summers and chilly winters. Summer highs are in the mid-80s, and winter lows are in the 20s. The region gets 19 inches of snowfall compared to the national average of 26 inches, which may make local travel easier for families to visit loved ones in memory care facilities. 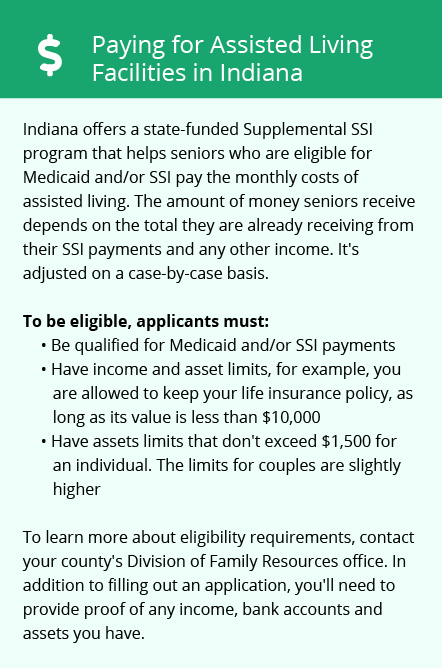 Indiana is moderately tax-friendly for seniors. Social Security benefits are not subject to state income tax, but all other types of retirement income are. Families whose senior loved ones draw income from retirement savings accounts or pensions may wish to speak to a tax professional to determine how the state's income tax laws affect their memory care budget. Memory Care costs in Franklin start around $0 per month on average, while the nationwide average cost of memory care is $4,799 per month. It’s important to note that memory care rates in Franklin and the surrounding suburbs can vary widely based on factors such as location, the level of care needed, apartment size and the types of amenities offered at each community. To see a list of free memory care resources in Franklin, please visit our Assisted Living in Indiana page. 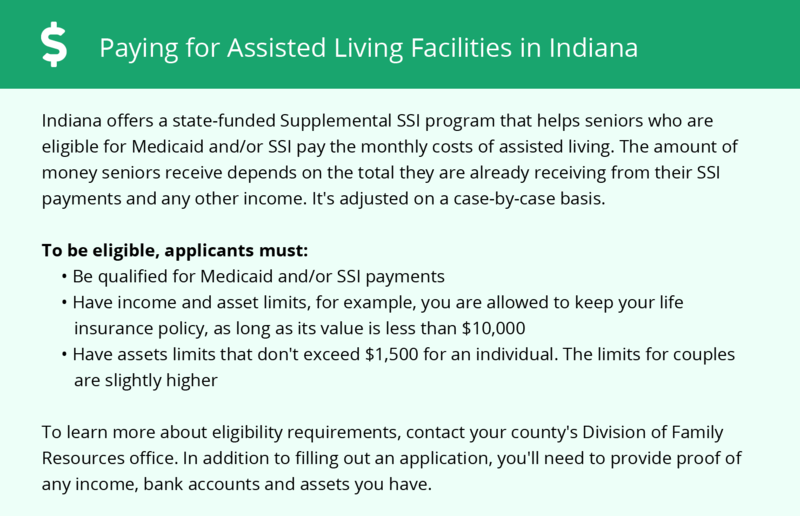 Franklin-area assisted living communities must adhere to the comprehensive set of state laws and regulations that all assisted living communities in Indiana are required to follow. Visit our Memory Care in Indiana page for more information about these laws.